The Twisted Gardener: New Goal, New Challenge and Some Morning Motivation…. New Goal, New Challenge and Some Morning Motivation…. I’m setting a goal of losing an inch on my stomach during August without losing any muscle mass. I’ll be taking new measurements every Friday…. My challenge is less of a challenge, per se, and more about men holding each other accountable. In this case, my accountability partner is Mr. 1500 from the website https://www.1500days.com/ who will also be reporting his progress. 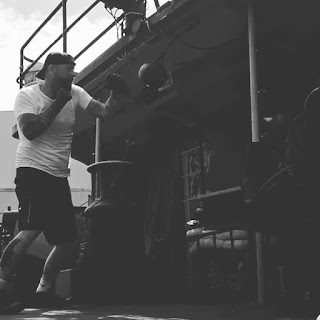 And here’s my morning motivation, a still frame from my ole Army buddy, Ragnar, getting after it in a boxing workout while traversing the eastern seaboard…. If he can regularly hit his workouts at sea, I have no excuse…. On that note, heading downstairs to do a lat workout….